Are you a lover of watching movies? 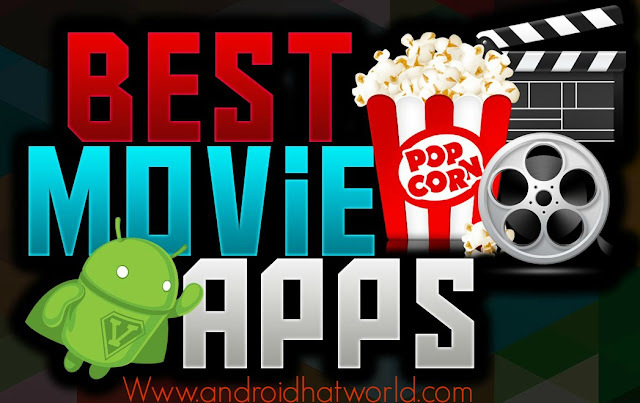 We are helping you to find the best free movie apps for your android smart phone or tablet. Watching movies is the best time pass activity almost everyone loves this activity. Movies provide us entertainment, fun, and sometimes information as well. It would be marvelous if you watch movies on your android smart phone for free, for this, you need only an Internet connection and then install any free application to watch movies for free on your smart phone or tablet. The Internet is full of apps that provide you free movies online and provide you the facility to download movies for free, in this situation you would be worried which one is the best app to choose for your android smart phone or tablet. Now no need to worry we are listing 5 best free movie apps for your android smart phone or tablet you can choose anyone of them and can enjoy over 5,000 independent movies for free. Crackle is the best free movie app for android to watch movies online for free, this app is very easy to use and provides you a user-friendly interface. This app provides your movies, TV shows, dramas, documentaries and many other things in a huge number, and it uploads latest contents every month, you can easily browse them and can watch them online and can download as well. Crackle has more than 25 million users from around the world. So what you are waiting for? Install the crackle app right now on your android smart phone or tablet and experience this app available for free. An excellent and marvelous app and service for movie lovers available for free with a pleasant and beautiful interface. The Movie Box app is easy to use and install. The best free app for iOS or android smart phone. We suggest you to install this app to enjoy a nonstop entertainment. After installing this app you will get an alternative of theater and will enjoy movies at your home even on your bed anytime. So you no need to buy tickets of cinema or theater for movies, just install Movie Box app and enjoy movies at home free of cost. Another exciting free movie app for android. Using this app you can watch movies TV shows and much more online absolutely for free. Viewster provides you easy and simple navigation no need for sign up or create an account you can simply install this free app. This app provides you the high-quality movies for free. So go ahead and try something different! Hotstar is a bombastic free app for an android smart phone. You can watch the latest movies, TV shows, dramas, comedy shows, award shows, live cricket any much more. No registration or sign up is required for this marvelous app. Using this app you can watch Hollywood, Bollywood, Bengali, Kannada, Telugu, Tamil, and many other regional, national, and international shows for free on your android smart phone. Using this app you will feel your smart phone like a portable TV. Hulu is one of the best movie apps for an android smart phone. Installing this app you can watch 1000s of movies for free. Hulu updates content after airing the movies or TV shows, and dramas. This app provides you high-quality videos. Using Hulu app you can make a list of your favorite movies and can watch them later. Kindly Tell me in then below comment box if you got any questions About the post i will always happy to do responsive reply to your Answers to each one.. I would like you to share this post with your friends.. Thanks!